Mr. Potter is Founder and President of Potter & Associates Architects PLLC. Since 1975, Mr. Potter’s experience includes master planning, design and administration of projects in a wide diversity of architectural types. Mr. Potter has been directly responsible for the design of the firm’s numerous office, retail and multi-family projects. 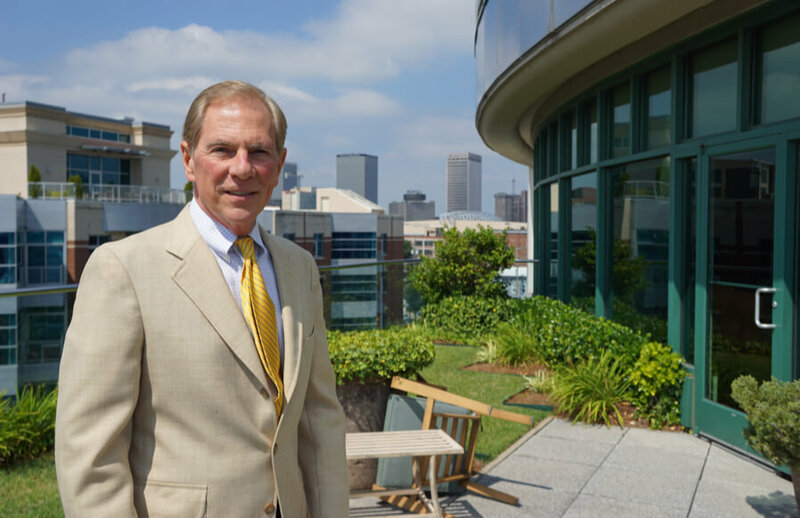 He designed and co-developed Preston Pointe & Fleur de Lis Development, both downtown mixed-use commercial, retail and residential facilities. Many of the projects under Mr. Potter’s direction have received Awards of Excellence from the architectural community and recognition from local and state agencies. Through his leadership and forward-thinking creativity, Potter & Associates Architects was awarded the 2017 Distinguished Firm Award by AIA Kentucky, which is awarded to a member firm that has distinguished itself over the past decade through design and implementation of works of architecture that enhance the quality of our environment. When Mr. Potter is not creating and designing award winning buildings, he enjoys travel, fly fishing, hiking, playing squash and restoring classic Jaguars.